Business owners often look for security in order to safeguard their business interests. 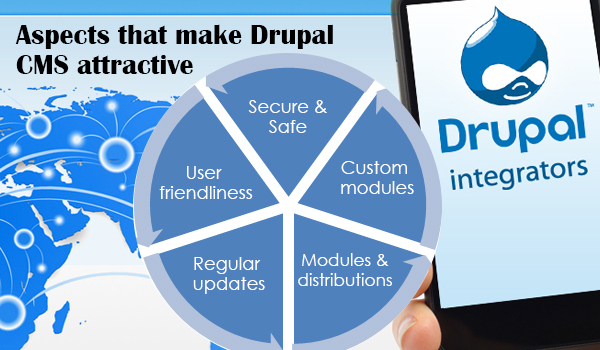 Drupal is one of the most secured CMS platforms in the market. The dedicated Drupal community is always vigilant toward any kind of threat to the platform. Any issues can be resolved with a short span with help of community members. Drupal has the ability to handle heavy traffic and remains intact for a variety of situations. It is true that Drupal’s learning curve is steep. While other CMS platforms, such as WordPress and Joomla making their simple to use software into a complex one, Drupal is in fact getting simpler by the day. Comparing the earlier versions of Drupal will reveal you that the CMS has become less complex than it used to be. Drupal 7 is much simpler than Drupal 6 and Drupal 8 is expected to even simpler. As mentioned earlier, Drupal has a dedicated community working 24/7 round the year improving the performance of CMS. The community constantly works on the platform fixing bug and security issues. In case developers are facing issues, it just takes a few hours to get the apt solutions from the experts by posting the issue in the forum. One other highlight of Drupal is the availability of numerous modules and distributions. 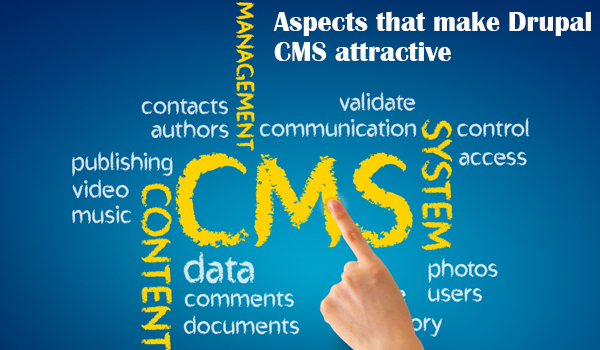 It is a well know fact that the CMS is modular in nature. Developers can simply download any module from the official website and install it in their websites without having to pay a dime. Drupal distributions are yet another boon as all of the essential modules, features and are already configured and can be used with least or no customization. It is not always possible find a module especially when it comes to certain business specific functionalities. In this case, expert developers can develop a new module that can enable the website to function as desired. Custom modules not only enhance the performance of your website but also make it stand out of the crowd. Utilizing custom modules gives you an edge over your competitors.